Kids’ books to beat winter boredom! If you have children, you probably have mixed feelings about the holidays–excited and scared at the same time! Two weeks! How am I going to keep them busy for two whole weeks?? There are only so many holiday crafts, parades, and Christmas films. 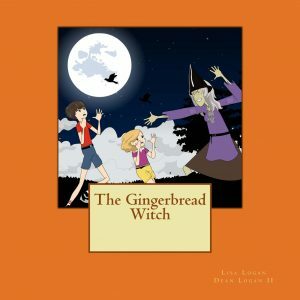 The Gingerbread Witch is a fun story written by Lisa Logan with help from her 4-year-old son, Dean. My kids (age 7 and 4) love it because it’s not your typical sweet-as-sugar children’s book (often written more for the parents than the kids!). There’s an actual story here–a really good one! And a lesson to be learned. Straight from the horse’s mouth — my daughter and I both like these mysteries involving Cam, a girl with a photographic memory and her best friend Eric. They are great at solving mysteries! We especially like the very first in the series, Cam Jansen and the Mystery of the Stolen Diamonds. Into The Land of Snows by Ellis Nelson is a fast-paced story about 16-year-old Blake who must deal with his parents’ recent divorce. When he gets into trouble, his father demands that Blake join him — at Mount Everest! I haven’t finished reading this book yet, but I’m enjoyed it so far and have read lots of Nelson’s well-written book reviews. I have high hopes for this book! The Rain Catcher, Snippet Two! Kind words from my writer friends have inspired me to keep on working on my Young Adult/middle grade novel, The Rain Catcher! I feel really lucky to have such great support! Here is the next snippet…. If you didn’t read the first section, please check it out here. We stepped outside the airport, and the wind hit me like a blast of refrigerator air. Aunt Claire dove into her purse and pulled out a packet of cigarettes, which surprised me, since no one in our family back home smokes. Well, Granddad sometimes chews tobacco, but that’s just for show, Dad says. Whenever his “Yankee” neighbors jog past the front porch in their yoga pants, Granddad throws a wad of tobacco into his mouth, gnaws on it for a few seconds, and spits out the juice into an old brass spittoon he got at a yard sale. After the neighbors have passed, he rushes in and brushes his teeth, Dad says. “Where’s my mom?” When I didn’t see her at Arrivals, I’d thought she must be waiting outside, perhaps circling the airport instead of paying for a parking space, like my Aunt Marsha does up in New York City. “Em… She has to teach a yoga class.” Aunt Claire tugged my sleeve, leading me toward a yellow sedan with dents in the sides, as though someone had rammed a shopping cart into it many times. She wiggled the key in the lock and banged on the trunk until it creaked open. Then she threw my suitcase in; I was glad the only breakable thing in there was my sunglasses, which I probably wouldn’t need, judging from the blanket of gray clouds above our heads. But my aunt didn’t answer, just put both hands on the roof, planted her feet, and began rocking the car back and forth. I stood watching her. She got back in, and sure enough, the car started. Aunt Claire ignored my question. We drove past fields of brilliant yellow flowers and then cottages with brown roofs and little gravel front yards and tiny cars parked on the street; they looked like Lego houses. Behind them, low green hills lay like piles of cabbage in the distance. One cliff stuck out like a book lying on its side. “That’s Arthur’s Seat,” Aunt Claire said, seeing me staring. Storefronts began popping up as we got closer to the city. A man in a black turban stood in front of a fruit stand, perhaps waiting for someone to buy a bag of oranges or apples. (I think there are maybe three Indian people in the whole of Graham.) Girls in navy school uniforms trotted down the sidewalk. Summer vacation hadn’t started here yet, obviously. My school had finished at the beginning of June, and here it was nearly July. Thank God I didn’t live here! We drove for what was probably only a couple of miles but got stuck behind the red “double decker” buses, and so we didn’t get to Aunt Claire’s place for another 40 minutes. By that time, I had dozed off and didn’t wake up until Aunt Claire jerked up the handbrake, nearly sending me into the windshield. “Here we are!” She jumped out of the car and began assaulting the trunk again until it finally opened. Then she pulled out my suitcase and began marching up the street. “Wait!” I called, struggling to unfasten the seatbelt which suddenly did not want to let me go. I pulled on the strap until I had enough to slide under it, then pushed open the door and dashed after my aunt. We passed a Scot Bets and a bar called The Malevolent Crow (weird name for a bar, surely?) and another fruit stand. The green apples looked kind of bruised, and the oranges looked more green than orange. “Wait here.” Aunt Claire disappeared into the shop, leaving me standing beside my suitcase, the wind whipping my hair above my head. I stared at my shoes, hoping nobody would notice the strange teenager standing by herself. I wondered if people could tell I was American; I just had on jeans and a green sweatshirt (my usual outfit), but suddenly my sneakers seemed unusually bright in the grimy street. “Back again!” My aunt stuffed two unopened packs of cigarettes into her purse, and we were off again. Three more blocks (why had we parked so far away? ), and we reached a grungy-looking black door. Brown scuff marks spotted the lower half, making me wonder if someone wearing big work boots had tried to kick it open more than once. We stepped into a stairway as damp and dark as a dungeon, the only light trickling from a skylight high above. “I’m on the top floor,” Aunt Claire said, lugging my suitcase behind her. Why wasn’t I surprised? Once inside Aunt Claire’s “flat,” I followed her down a shadowy hallway, the walls lined with hooks of scarves and coats and umbrellas. A holey rug covered the floorboards, which creaked horribly as we walked over them. I felt a breeze from somewhere and shivered. The T.V. or radio chattered from down the hall, and I wondered who was there, waiting for us. Suddenly, I had a thought. Maybe it was Mom! Maybe she wanted to surprise me; it had been so long, the only contact we’d had was through letters and a yearly phone call (maybe not even that often). I held my breath, a smile creeping across my face, not wanting to give the game away. I’d act surprised, so as not to spoil their game. My heart sped up, like the wheels on the old-fashioned steam trains Granddad had taken me to see at the Transportation Museum in Spencer. It had been Easter — I was six — and we’d ridden a train with the Easter Bunny. Had I remembered to bring the photograph album to show Mom? Aunt Claire pushed open the door at the end of the hall, and I poked my head in, unable to wait any longer. My eyes stung with anticipation and then, dread, as on the couch sat not my mother but the creepiest man I’d ever seen. 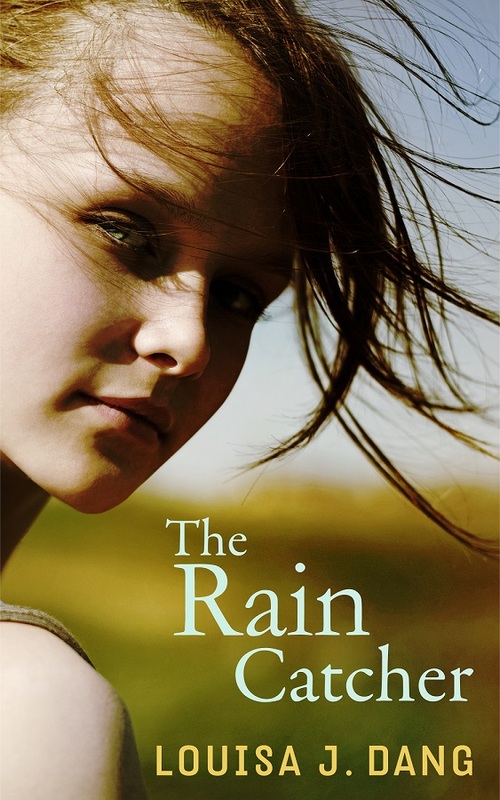 Our first publication, The Rain Catcher, will be released summer 2014. This young adult novel follows Katy as she spends the summer in Scotland with her estranged mother, Liz, and living-on-the-edge Aunt Claire. The three end up on a bizarre road trip through the Highlands, whizzing past Loch Ness and Inverness, supposedly sightseeing, but Katy begins to wonder if her mom and aunt are actually running from something — or someone!